THE HORROR OF THE PRE-LEARNING TANTRUM. I seem to be writing about comfort zones and discomfort lately, as I go through all of the steps necessary to assemble a book and put it up for sale. [Comfort zones are for old ladies. When you want to be a self-published author, you realize early on that EVERYTHING you do will push you out of your comfort zone. Revise and polish your own work. Learn the business side: choosing where you will publish. You will have to take yourself seriously as a professional and have standards. It will cost money. Your money. You can replace some money with time. Your time. But there will be things you CAN’T do. They still have to be done. Most people you know will not understand. For every scene I write, I go through a chunk of time with a very uncomfortable feeling in my gut, some time between gathering what will go in the scene and being able to write it. 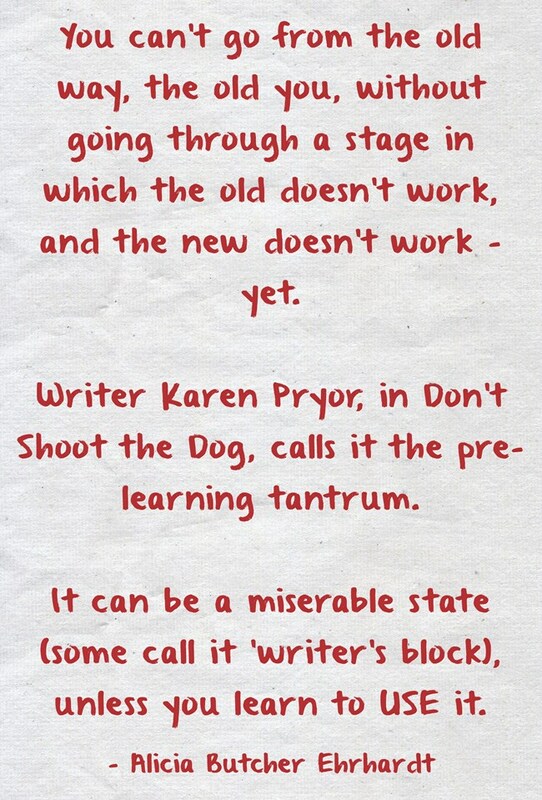 Behaviorist Karen Pryor writes in her book Don’t Shoot the Dog that this time is called the ‘pre-learning tantrum’: what used to work doesn’t work, and you haven’t figured out the new pattern, and you are horribly uncomfortable. I expect it now. I keep digging deeper into the subconscious – sometimes the tantrum means I haven’t faced the deepest truths yet – and I KNOW I won’t like the feeling. But the scene won’t gel, won’t get written, until after I’ve gone through that. For me, it is EVERY darn scene. Fear is part of it: fear of not doing the material justice, of being found out a poseur. Fear I write down in my journal until it is all out of my head. But it isn’t really fear that makes the gut uncomfortable. It is, rather, my brain learning what it means so I can write it – and not quite having it yet. I just let it keep going around and around, reading what I have, asking myself what ‘digging deeper’ means in the context of THIS material. And eventually a first line suggests itself, or the critical missing piece surfaces, and I start seeing words on the page as a way out of the pain. I love it, because what follows is the sense of ‘flow’ where you lose yourself, and the subconscious takes over, and the writing seems to come more easily. No pre-learning tantrum = no writing. So I shrug and do my job, which is to sit with that discomfort and keep reading my own notes over and over, and thinking, and writing about it, until writing fiction happens. I think some people fear this stage, and call it ‘writer’s block’ when it hits them. The first thing to note about the pre-learning tantrum is that it practically guarantees I’m about to have a breakthrough: my brain is literally oscillating back and forth between the old and the new, trying desperately to trust that I know what the heck I’m doing. I don’t – but it doesn’t matter, because every time before when this discomfort (okay, PAIN and FEAR state) has happened, sometime very soon after that, if I stick with it and keep poking it with a stick, the state breaks, the discomfort passes, and I’m on the other side of the chasm, writing. It means I may need to keep digging just a little deeper, to ask myself – in writing – what the problem is, whether there is enough conflict or motivation or angst. But it doesn’t happen at all until I’m very close to where I need to be. The farther away I am, the less uncomfortable I am – so I can use it as a measure of distance from the change in state. The KEY: stick with it. Don’t go looking for something ‘better’ to do instead. Stick with routine. Trust the process. Writing this formally here will help me remember next time that it isn’t fatal. 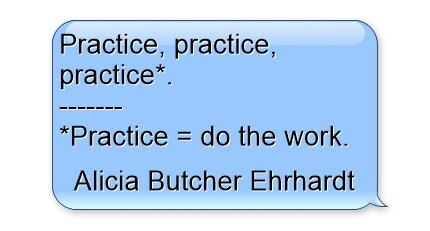 This entry was posted in Brain training, Writing - how to on April 18, 2015 by Alicia Butcher Ehrhardt. This blog serves as a diary of sorts, of the things I’m thinking about and living with and doing. Maybe I’ll WRITE this post – and not post it. Maybe I’ll print it out and reduce the pages to confetti, as that’s what it will deserve. It’s a beautiful spring day, 62°, sunny, clear, and the daffodils and hyacinths are blooming, with the forsythia ready to pop like popcorn into strident yellow by the back fence. I want nothing more than to try a walk, or, better still, a bike ride. I would love to walk around the yard and fill vase after vase with daffodils, or at least one. But I can’t afford it: I not only have no spoons, but I need some for tomorrow, and I am running a debt at usury from the activities of the past week. I function best with 3-5 naps a day, leaving the house at most 2-3 times per week for no more than two hours counting travel time, and eating no carbs (I mean none – fewer than 20 g/day). Instead, over the past ten days, I have left the house eight days, with two of those days having two ‘outs’ each, and many of them have been for far longer than two hours. Naps have suffered: I have been running on nerve, and I have been practically incoherent by the time I got home. I have roughly stayed away from the goodies. Good for me. Psychologically, horrible for me. Yay, me. Looking BACK, I can see it was all MY fault. Some of these events were regular ones, others extras I took on knowing the risk, and the remainder were unhappy accidents of timing. But it didn’t hit me until today that the reason I’m unable to focus is my own damn fault, and that there has been nothing I could or can do about it but wait for it to pass. And if I go out for a 15 minute bike ride the two scheduled events for tomorrow won’t happen. So I can’t afford it. I’m going back to hermit mode, to taking naps over and over, to doing all the things which will eventually return my writing brain and a wee bit of physical energy to me. The magnificent Triduum and Easter services were worth it, and next time I won’t plan long-delayed medical visits for right after, and I won’t go out to dinner with a friend who needed to talk, and I won’t keep up my promise to the Folk Music Society to attend the events (just because I’m president this year). NOTE: Attend only – I perform no useful services (except that the previous president was never seen). At least it’s pretty out the window. I should have planted the daffodils where I could see them from inside. Way back when I wasn’t sick. Amazing to think those daffodils have been with me longer than my children. Many of us have it far worse, so, whine over. And all you healthy people out there: take a bike ride for me. And don’t complain: if you read this far it was by choice. I warned you. And excuse me while I go take the next nap mental dialysis treatment. This entry was posted in CFS - living and writing with ME/CFS/CFIDS, This writer's life and tagged brain fog, CFS, Hard choices, ME/CFS on April 11, 2015 by Alicia Butcher Ehrhardt. WHAT DO I DO ON TUESDAYS NOW? Brent Riggs (Brent@brentriggs.com) said to write a post about how far you’ve come, and how blogging has changed since you started: I’ll look at the period since I started posting Pride’s Children, February 12, 2013. He said, in an email: ‘People often become discouraged about blogging because they think those who are successful did it with ease and very quickly. What they do not realize is that it most likely took many years of hard work, perseverance, and setbacks. Tell them about the hard work, setbacks, and commitment it took to get you from “A” to “B” (today). This is the first Tuesday post in a very long time in which I don’t have a scene to announce, and it feels odd. I started this blog to see what blogging was about, and found I like to blog. I’m an opinionated sort, and stubborn, and chatty under the right circumstances. By the time I started my own blog, I had been reading and commenting on other writing blogs for over a year, and could see how it worked. At that point, September 9, 2012, I took the plunge. WHEN DID I START POSTING Pride’s Children? Five months later I decided I was ready: on 2/12/13, I had 40 scenes in hand as a buffer, and I figured that would be enough to provide me space to write the remaining ones before I’d use up my buffer – never checking out my own data (what did you keep all those notebooks for then, Alicia? ), which when examined showed that some scenes had either taken months to write, or were surrounded by periods of time where I had external or internal reasons for not writing. So I started. And I’ve missed only one Tuesday (by about an hour – had the scene ready, just forgot to post) since I started. Writing is temporarily over, at least on Pride’s Children scenes in Book 1. Now I’m having weird withdrawal symptoms which I’ve realized are entirely normal: if you intend to self-publish, and have used all your energy for writing, when you get to the ‘publish’ part, you haven’t finished all those things you could have been doing as you went along. You haven’t finished with one task, not really (there will be whole-book editing, and cleanup of a few known problems), but you now need to learn and do all those things you’ve been putting off. People in general have been lovely and supportive, and other writers in particular have been helpful (I’m just one of a long line of newbies coming after them. Only until you get thoroughly into the next phase: it took me about this past week to really get going. There will be a hiatus of sorts between ‘last scene posted’ and ‘available for sale’ because I barely made it to the last scene, and it’s going to take time (a month may be too optimistic) to do those tasks I have some control over: cover, description, formatting, final editing. Getting Pride’s Children, Book 1, up on Amazon without making a big fuss is called a soft launch, and the idea suits me: put it up there, buy a copy and make sure the formatting works for at least one device (I have a Kindle and the Kindle app on my computer). Edit/fix/reload. Decide the cover is awful in some particular way. Do something about that. Change the cover in the online store. Learn more about descriptions – decide you MUST change it. Do so. Throw book up on Amazon again. Repeat until the obvious mistakes are taken care of; pray there aren’t TOO many. Just for personal sanity, not bragging rights. Hope you haven’t accumulated negative reviews. Then think about a proper launch. The kind that gets reviewers to look at your book, and arranges for ads in various places. Realize what I just said. Hide. Ebook is up and running, then what? Get template for paper version. Learn all that stuff. Create paper version. Think about audiobook. You’ve got to be kidding! Nope. More stuff to learn. The bad part about a soft launch is that you give up some of the ‘New’ time Amazon provides for exposure of new titles. Why do I remember ‘new this month’ or something like that? 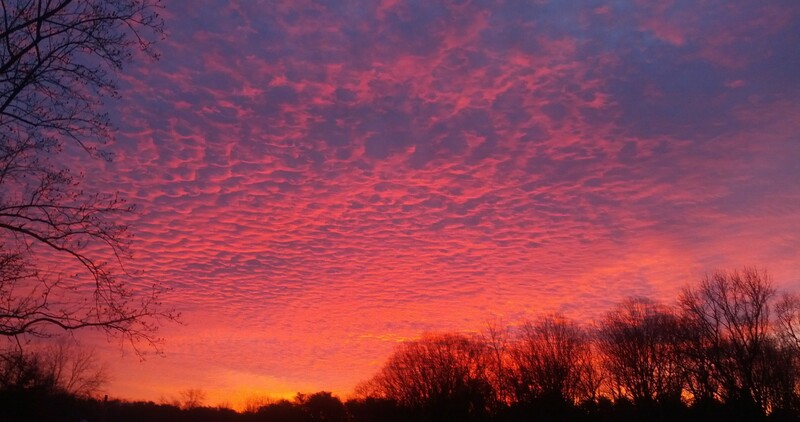 Must go look up. I promise to get back to blogging about the pieces of this ‘publishing puzzle’ if I discover new and uncommon ways to do it; if not, I’ll just link to the places I found my information if they seem to need some visibility: I am extremely grateful already to the DIY-ers who write free blog posts and inexpensive ebooks about ALL this stuff. I am reading all this information, filling in the little forgotten corners. Amazingly, I remember most of it, if not in detail, at least that I read it somewhere, which reassures me that I’m not starting from scratch. Phew! 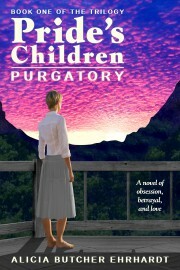 1) tell people exactly what they’re getting if they buy Book of the Pride’s Children Trilogy. No, this doesn’t mean reveal the plot – that they have to read for. But there has to be enough information in the part of the description that shows up on the page when you click on the cover image, BEFORE you decide to click on SHOW MORE (if you do). That little piece of real estate is the most crucial of the whole description. 2) let a potential reader see a bit of the writing style, somehow, because that is the main thing they are buying and will be spending a lot of time with: characters, plot, and everything else, will come at them from THAT writer, and there are a lot of things a reader knows for sure he doesn’t like (typos, sentences that begin with ‘ing’ constructs, incorrect dialogue punctuation, pet peeves of all kinds). That style will be much more obvious in the sample, but a reader won’t get to the sample if the first bit of the description turns her off already. I’ve seen it done – I’ve left my share of descriptions, knowing I didn’t want to read further. Let’s see if I can do better, and I hope people will tell me – rather than just get out of there – but I can’t count on it. 3) Give readers a good feeling if they do the next click – I know when I’m being taken care of, as a reader, and I assume everyone else knows what they like to read. Orient the reader and get the reader started, and lead her to wanting to find out what happens next. 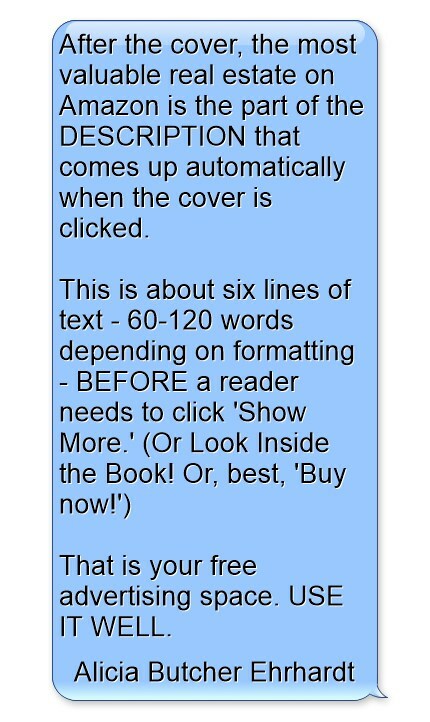 I’m pretty sure that after cover, keywords, description, and sample, readers will know if they want to continue: I want to give them enough information to make that decision in an easy and complete little packet. Doing something I’ve never done before, seeing if I can take all that advice and information I’ve gotten, and put up a professional package (you up there in the peanut gallery: stop laughing). I don’t know how much I’ll blog about this – I am such a rank beginner at this that even as entertainment it will pale. I just don’t know what to do with myself on Tuesdays yet. Expect me to be erratic, and ecstatic, and static, and confused. But trust me: I’m having great fun. This is a time to make all and any suggestions. While the concrete hasn’t set. 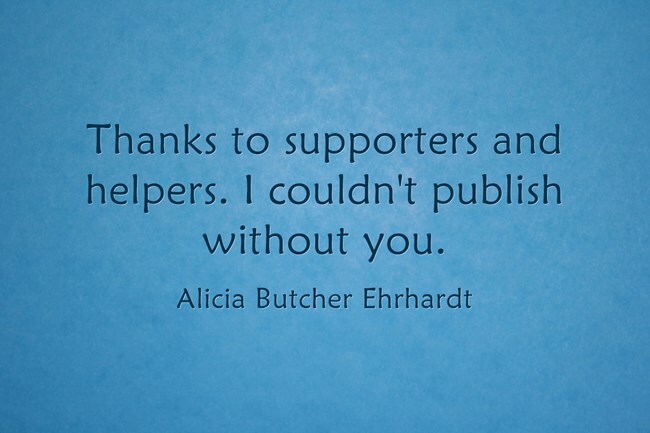 This entry was posted in Brain training, Epublishing, This writer's life and tagged contract with reader, descriptions, self-publishing, serialized novel, writer organization on April 8, 2015 by Alicia Butcher Ehrhardt. When you’re writing a book, especially one that took a very long time to write, such as Pride’s Children (Book 1), and you really, really want to get back to writing, so as to get Book 2 moving, and return to that nice quiet place where all you face every day is the blank computer screen, and you’ve done that many thousand times before, and know you can, you find that there are all these little details you’ve sent flying every time they showed their feathered heads while you were writing – and they’ve come home to Mamma. I’m sure that’s true whether this is when you start querying agents, or whether you have plans to do it yourself, but to write I have to be in a bubble. I have hundreds, maybe more, blog posts by other writers bookmarked: covers, marketing, editing services or self-editing instructions, online Twitter/FaceBook/website/blog presence, formatting, layout… The list goes on. I’m sure the list of things I have to do now is finite – at some point you throw ‘the product’ up on Amazon as ‘finished’ as you can get it for now, and then your words must live on their own, and people may love them or use you and them for target practice. The after is now, and it’s daunting. I have other things to write, besides fiction. I even go back to all the semi-coherent blog post starts I’ve been writing – and have trouble figuring out why I bothered to write those words which were supposed to get me started on what seemed like a good idea for a post – 6 months ago. They seem pathetic, boring, uninteresting, banal. I know it’s shock: the future HAS arrived, and it has a lot more details to it than I allowed myself to think about back then, when I DIDN’T want to let things distract me. When you write, you are a god. Minor, but definitely in control. This is even more true when it’s the first universe you’ve been god to (for the record, it’s my second – there IS a trunk novel with intriguing bits…). Feel free to laugh at me. Oh, wait. That is the old model. The one I’ve promised myself to eschew because there is no way I’m going to attract their attention. So, on the self-published side, is it easier? Nope. Here you have to compete with all the SP writers who KNOW WHAT THEY’RE DOING. Fortunately, many of them are wonderful folk who have shared how in books and websites and blogs. There are services – people happy to take your money and do all these things for you. I just don’t count myself able and competent to navigate finding them, employing them, and interacting with them – it takes a lot of work to be an employer. So instead I commit to LEARNING how to do all this stuff. With my brain – they wouldn’t give me a loaner. Oh, and the worst part? You now have to go do something completely out of your comfort zone: GETTING A HEAD SHOT OF A SMILING YOU (or whatever) which will adorn the flap, the blog, and the author page on Amazon. Bringing up the final point: Yup. You have to describe you and your writing and your book – to your prospective millions of adoring fans. If these two don’t make you crawl in a hole and pull it in after you, I have no idea what will. 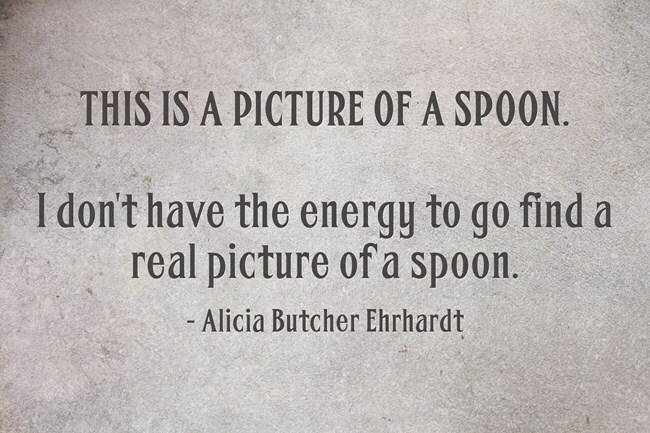 This entry was posted in Brain training, Epublishing, Gen. Musings, This writer's life and tagged fears, self-publishing, the creative process on April 4, 2015 by Alicia Butcher Ehrhardt.